Through my work with over 130 wineries, I find that less than 25% fruitfully build teams with a culture of high performance. These best practitioners have teams that work together and communicate well. As a result, these wineries tend to experience much higher profitability, and employee satisfaction and retention. Through working closely with these performance-driven teams, we know what it takes to hire discipline leaders; set and manage internal goals; and accelerate a positive culture of collaboration and success. 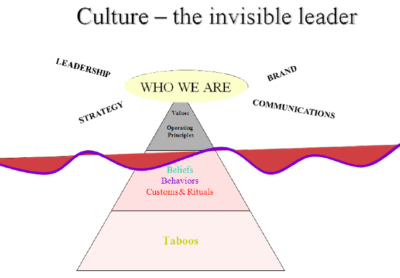 See table to right, What is a high performing culture? Most leaders know that teamwork can be the pillar of innovation and productivity in any business. Few really understand the impact that company culture can have on a healthy team environment. WHAT stands in the way of building high performing teams? Many leaders (of large and small business) have the same challenges, according to a new organizational dynamics survey by 5 Dynamics: ‘Most businesses have a teamwork problem.’ This survey examines employee experience working in teams, and how their employers are fostering, or failing to foster, healthy team environments. Overall, the survey found that team dynamics are a key source of friction and frustration in the workplace, to the extent that negative team environments are driving some employees to consider leaving their jobs. For some working on a team can be emotionally and psychologically draining. For others, being tasked with too many responsibilities that don’t play to their individual strengths is a chief culprit. A natural planner is not going to be very happy if they are tasked with ideation, and creative thinkers will experience implementation as drudgery. When working with client teams, we are able for test for employee natural preferences, as well as strengths – helping winery leaders more optimally focus essential human resources, and cultivate employee engagement and job satisfaction. This doesn’t mean that project responsibilities should be based solely on a person’s personal preference—stretch assignments and opportunities for growth are important. But allowing employees to spend their time and energy on tasks that they truly love doing will make them happier and prevent frustration and burnout. TWO – Build team engagement through awareness, understanding and appreciation of individual member preferences. Staffing teams can be complex for important projects and initiatives. Conflict may arise when one team member is really enjoying an analytic project phase, while another is impatient to move on. Some team members become bored or disengaged, and feel like time is moving at a snail’s pace. Effective teams navigate this dynamic thoughtfully to maintain harmony and productivity. This takes informed insights into teammates’ distinct work and communications’ styles. Over the last 20 years, we have worked with various testing tools that provide valuable insights to our clients. Some are easier than others to understand and apply to a variety of team situations. The most useful ones are self-reflective and enable individuals and teams to understand work and communication style preferences. By integrating insights from tools into planning, innovation and performance management processes, you are able to provide your teams with a positive method for working smarter and better, improving interactions with colleagues and clients, and applying everyone’s talents and strengths to the maximum. This awareness optimizes workflow and encourages successful completion of projects. and employee retention – leading to important outcomes for both companies and employees. Imagine how much more productive and happy people would be if you aligned your teams around their natural preferences. Conversely, high-performing teams include members with a balance of skills and clear culture alignment. We know that organizations with strong culture clearly articulate which of their core values drive key decisions and priorities. Leaders in these organizations also do a good job debating how to ‘operationalize’ these values. Since culture is learned and is not innate, you must mold, augment and promulgate your own culture: see key cultural elements in image above, Culture – the invisible leader. 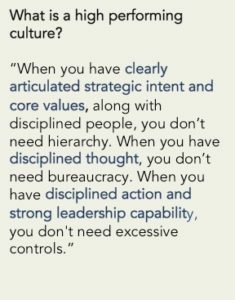 Leadership’s role is to engage their team in building organization culture, awareness and alignment by clarifying values and operating principals – to enable healthy debate and drive strong results. FOUR – Cultivate performance management tools, processes and structure that engage your team in disciplined execution. Typically, leaders know what they want to accomplish. Sometimes these wishes are developed into plans. Before moving to action, the most successful leaders show rigor in project and planning initiatives by developing realistic roadmaps that support SMART goals. 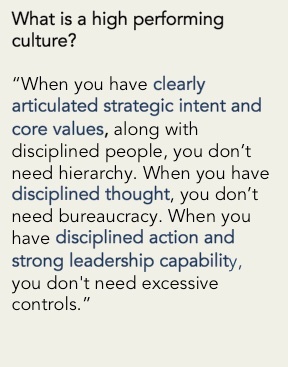 It is difficult to evaluate team performance and success without this. Plan frequently: Some organizations participate in this type of activity once a year. Just like performance reviews, planning needs to be more of an ongoing conversation these days. As too many factors can change, we recommend you make time to measure, review and reset progress against strategic and operating goals every quarter; weekly, if a strategic project or initiative. Get alignment by engaging your teams in frequent dialogue around high priority issues that matter. If you have great plans but your entire organization does not share these plans, you will not move towards completion. If your plans are not grounded in the reality your team lives every day, then you will not achieve your goals. And if those plans are constantly shifting, your teams will not know how to help you achieve these. Who is going to be accomplishing these goals? How do they think? What do they see readily as hurdles and opportunities and what might they miss? Where might they have friction points? Do our teams even make sense? Could there be a better way to align our people within the process? In summary: Successful winery owners and general managers are dedicating resources to team building that ultimately help their employees understand and work better with each other. These winery leaders are benefiting from open dialogue around positive collaboration with their employees. In adopting these best practices, you can reap stronger bottom-line revenues, and become more successful at attracting and retaining quality talent. We help your people understand their natural tendencies and the tendencies of others. We involve your team in designing and executing planning and performance management processes – specific to your culture and business phase needs. We engage your team in practicing positive collaboration and communications skills supporting a variety of team activities: organizing around project management, annual strategic planning, and quarterly performance management, as examples. 500 full-time workers: a majority were between the ages of 25 and 34 (38.6%) and 35-44 (25.6%), with seasoned professionals aged 45 to 64 making up 28.4% of the responses. Annual household incomes ranged from $25,000 to more than $500,000, with 34.2% of respondents reporting $25,000 – $50,000 in annual income, 47.8% reporting $50,000 – 100,000 in annual income, and 18.2% of respondents reporting $100,000 to more than $500,000 in annual income. A majority of respondents — 51% — have two- or four-year college degrees, while 18.6% have advanced college degrees, 24% have some college experience, and 6.4% have no college experience. SMART goals: Specific; Measurable; Agreed upon; Realistic; and Time-related.